Professionals with a forensic science degree are valuable to society because they are an integral part of the law and order process that leads to acquittal or conviction. 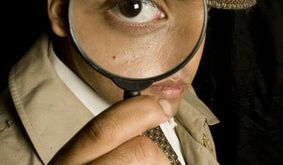 Often times, the forensic technician is the last line of defense for authorities to delineate subjective accounts from the objective evidence. These types of careers have launched in popularity during the early 2000s due to successful shows like CSI and NCIS. Earning a forensic science degree can open up a wide variety of well-paying career opportunities with a divergent array of employers. Students that earn forensic science degree typically have several attractive career options upon graduation. Some of the other career choices available to forensic degree majors are odontology, document examiner, physical anthropology, behavioral science or working in digital/multimedia scientists. Students interested in working with the government typically interview with federal agencies like the CIA, FBI or ATF. There are opportunities to work for renowned police institutions like the NYPD or the LAPD. The BLS estimates that professionals working as forensic scientists typically earn over $23 per hour, amounting to over $50,000 each year. Forensic technicians working in the executive branch of the federal government can earn as much as $90,000 annually. Forensics chemists earn around $66,000 per year while forensic technicians only earn around $55,000 per year. Forensic science majors working as criminologists usually earn around $48,000 per year, while medical examiners can earn around $45,000 per year. There are a number of factors students need to consider when trying to choose the best college for earning forensic degree. Students should focus on schools with hi8gh graduation and job placement rates for the forensics program. It’s also helpful to focus on schools with that have the professors or programs with the most experience. Of course, price and program accreditation should always be factors when looking for the best school to attend. Some of the universities with the best forensic science programs in the country include Ohio University, University of Cal- Davis, Syracuse University and Michigan State University as well as several other lesser-known but still great universities. For some of these institutions, job placement and graduation rates for forensic majors actually exceeds 85 percent. Always remember, it’s wise to evaluate the internship program before making any final decision about which institution in best. Students can also benefit by getting in touch with industry professionals and other forensic experts in the local area in order to get a better idea of the opportunities available in the region. What Can You do With a Criminal Justice Degree? Where do Forensic Psychologists Work?